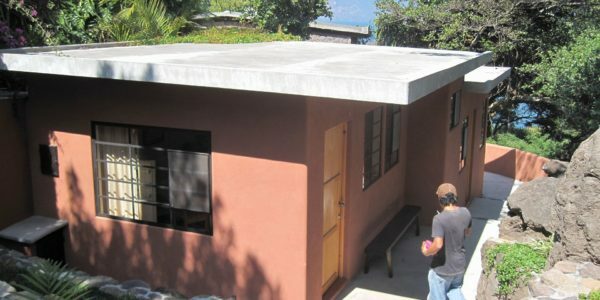 A comfortable, 2-bed, home on a beautiful, lake-front property just on the outskirts of Santiago Atitlan. 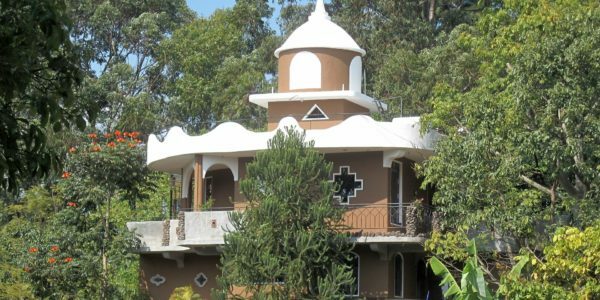 It is a perfect place of peace and tranquility and to get away from it all to work on a book, thesis, paint, write whatever you need time, space and nature for! 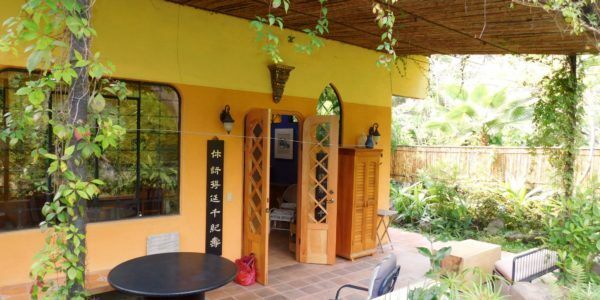 Set in gorgeous, lush gardens rolling down to the shores of Lake Atitlan. This is a great bargain. 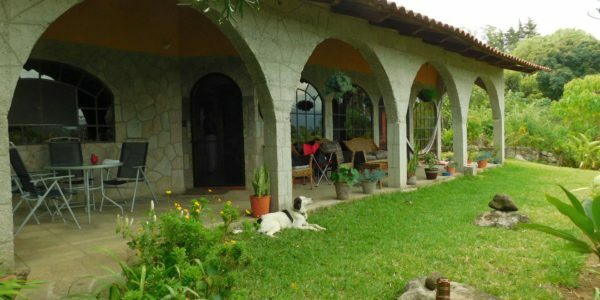 Built of the traditional dark, volcanic stone common in Santiago Atitlan, the house is on two levels. 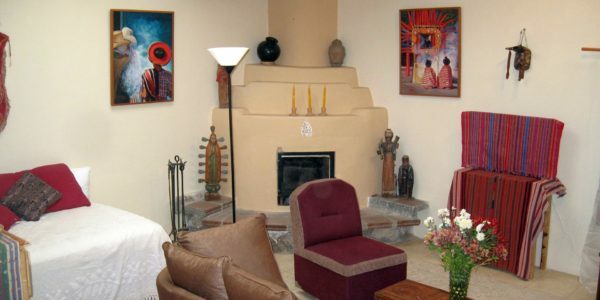 The front door enters into a hallway where you step down into a seated area in front of a fireplace and with windows looking out over to Lake Atitlan. Up a couple of steps is the main bedroom with an office area looking out over the beautiful garden. There is a half bath on this level and the second bedroom – a double. Down some stairs takes you into the kitchen and dining area along with the bathroom with shower. 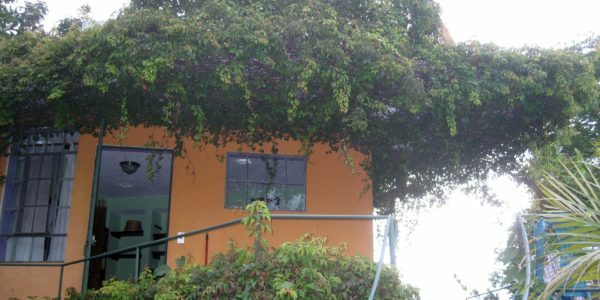 The gardens are shared with another smaller 1-bed rental and the owner who lives on shore of the lake. For information on the other 1-bed rental, click here.